MYOPIA reviewed by L.H. Healy of The Little Reader Libarary – an Amazon top 500 reviewer and Vine Voice. Jerry is being bullied at school. Those who pick on him target the fact that he wears glasses, and he suffers their cruel taunts and physical attacks. However, Jerry also begins to experience some unusual effects as a result of his short-sightedness, sometimes giving him a different, special way of seeing his world. This book deals honestly with bullying and friendship, with prejudice and coming to terms with difficult situations. Jerry sadly considers the way the bullies have treated him: ‘What goes through a person’s head to think it’s okay to make another human being feel so worthless and humiliated?’ I think the author dealt with these important themes extremely well within his novel; this is an insightful story. The bullies are realistic and the bullying harsh, but the bullies are real characters, not stereotypes. Importantly, whether seemingly good or bad, the story illustrates that there is always more to a person than meets the eye. I liked several of the characters; in particular the marvellous, innovative and supportive school deputy head, Mr Quincy Finn. Whilst other teachers do little to support Jerry, Mr Finn takes pride in making the school a better, safer place, and in empowering Jerry himself to be a big part of that change. The author takes the subject of short-sightedness and makes it feel positive for Jerry; when he has his eyesight checked and is told of his myopia, he compares the sound of the word to another word, utopia, and imagines myopia as a place that he can visit only because of his particular eyesight. This young adult novel is an intelligent, skillful and well-written treatment of a serious subject that sadly affects all too many children and indeed adults, with an admirable main character and a little feeling of fantasy and magic at times. Despite the central topic, it is not without touches of humour and romance, and it is definitely enjoyable and rewarding as an adult read too. Bullying – What’s the Solution? My contemporary novel MYOPIA explores the important topic of bullying, suggesting a number of non-violent responses. Jerry is bullied for wearing glasses and through his own belief that being short-sighted is not a disability but a new way of looking at things, he begins to find himself drawn into the dark world of prejudice and ignorance. People can be loving and compassionate; but we also have the potential to be cruel and brutish. We all need to work together to stamp out this malicious and thoughtless behaviour from all areas of our lives. Whether it’s physical, verbal or emotional abuse, all bullying is an insidious practice which we should take seriously. Victims can feel that they are somehow to blame and it certainly affects self-esteem and crushes feelings of self-worth. Bullying can change an individual’s behaviour and view of life. Being psychologically broken is devastating, embarrassing and potentially life-threatening; as shown powerfully in K.B. Walker’s poignant novel ‘Once Removed’. If you find yourself being bullied then there are two things to consider: firstly, IT IS NOT YOUR FAULT; secondly, you need to act quickly to stop it escalating or happening to others. Sometimes victims are scared to act, fearing that telling someone else will lead to even worse punishment. This might be true in the short-term, but attempt to think long-term. It’s happening anyway, so why not deal with it? The other thing to consider here is that if you manage to stop the bully then you are also saving others from being affected in the same way you were. By stopping the vicious cycle, you have bravely helped others from being bullied. Therefore doing all you can to stop bullying will improve things for you in the long-term and stop others suffering too. I believe all responses to bullying should be non-violent – although I do think you should physically defend yourself and protect others from being hurt. Here is something you could try: stand up and stand tall the next time someone tries to bully you. Don’t be aggressive and perhaps stay quiet, but most bullies are cowards and don’t want victims who are confident or who stand their ground. If you can, attempt to remain unaffected; after all, what the bully most wants is a reaction from you. If you give none they may well get bored and leave you alone. In MYOPIA, Jerry invites the bully round his house for a cup of tea. This is certainly unexpected (and potentially stupid) but Jerry has carefully planned something which will teach him a lesson without hurting him. Bullies are cowards; picking on what they hope is easy prey. Sometimes bullies are being bullied themselves or are responding to something painful in their own lives. This never justifies bullying which is heinous and needs to be stopped, but bullies are possibly crying out for attention. For some people even negative attention is better than none at all. Jerry learns a great deal, not only about himself, but about the boy who is making his life such a misery. If you are a witness to bullying, or you know someone who is a bully, then what are you going to do about it? Doing nothing makes you part of the problem. 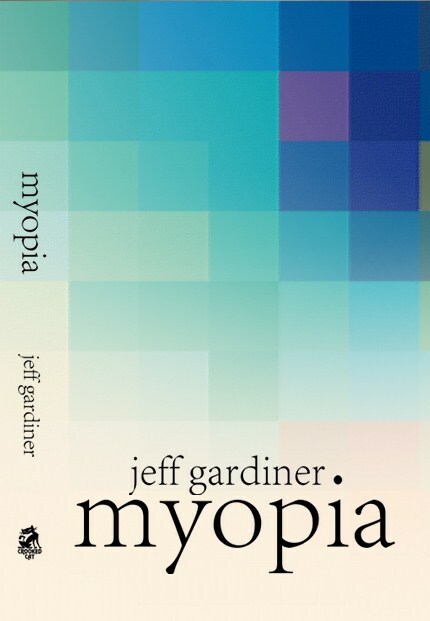 Jeff Gardiner’s MYOPIA is an ideal book for teenagers, teachers, youth workers and parents -available from www.amazon.co.uk or www.crookedcatbooks.com.